Spend every free moment that you and your chapter brothers have enjoying fun times, and bring our Kappa Delta Phi Recreational and Golf Items with you to the party or gathering. When it's tee time, go to the golf course with a few items from Greek Gear. 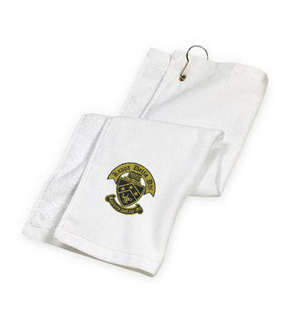 Start with a Crest Golf Towel -- it's a white towel with a gold and black fraternal crest on the front side. There's a hook on the top so that you can easily hook it to your golf bag or locker. We also sell golf balls for fraternity members. With your recognizable symbols imprinted on the side, there's a better chance of quickly finding and identifying your balls on the green. Poker players in your chapter will find it convenient to bring the Poker Set along whenever you're all heading out for a day in the park or another house to chill with friends. It contains a full set of chips, dice and two sets of cards. There's a separate set of Poker Chips that you can buy to use as a prize for any game that you have in mind. 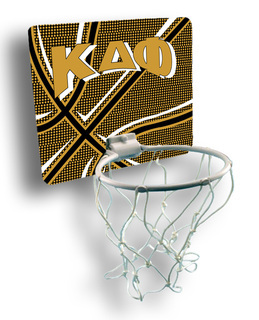 Whether you're a golfer, a poker player or the best BBQ chef in your chapter, one or more of the Kappa Delta Phi Recreational and Golf Items in this section will appeal to you. Fun times are coming soon! Kappa Delta Phi Recreational & Golf ItemsThe Greatest Selection. Period.